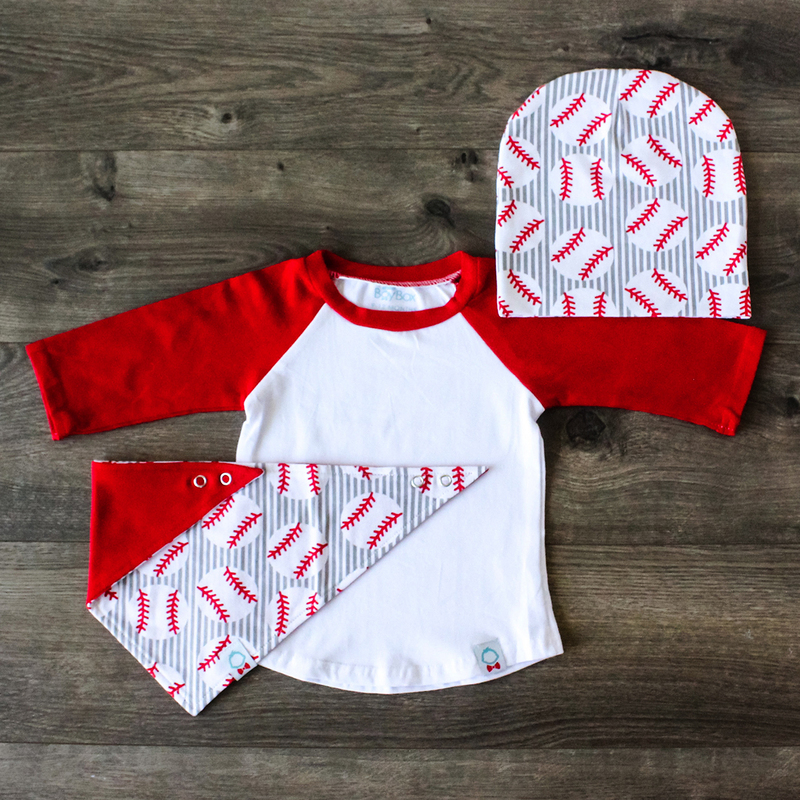 This red raglan is the perfect add on to our May baseball bib set! Your little slugger will love the soft and stretchy cotton knit! Available in sizes 6months-5T for coordinating siblings and friends!